Marketing is something that does not come easily to many charities. A large proportion of charitable organisations are established by people with extensive experience in the fields in which the charity will operate – but little experience in marketing. So, this vital occupation often gets forgotten. But marketing is of fundamental importance to charities of every size. 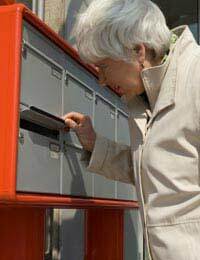 We spoke to Anna, head of a charity offering care to the elderly in the South-East of England (and to whom we also spoke about partnerships in an article elsewhere on this site) about her innovative marketing efforts using direct mail. The charity tried a range of different marketing techniques in its early stages. “We have some lottery funding and a small private bequest, but cash is always tight. We ran events, did sponsored walks, held street collections. You name it, we tried it.” But, while these activities did bring in some extra money, the results were not as positive as the charity had hoped. Today, the charity runs regular direct mail campaigns. “We know who our most likely donors are, and we target the mailings to them. But we also have a core of supporters building up, and we send them personalised mailshots to keep them up to date. Anna says that the most important benefit has been increased interaction amongst potential supporters. “We are a small charity, and we rely on people donating not just money but also their time. Our direct mail campaigns have improved volunteer rates, and people are now talking about running their own sponsored events to raise donations.